A-C-T Like a Kid and T-H-I-N-K Like a Parent, by C.S. Whitehurst and Katharine Shears, is a guide for preteens and teens as they enter the most difficult stages of their young lives. 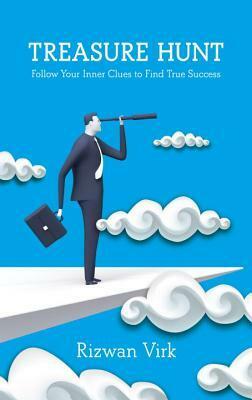 The authors present numerous challenging situations, looming questions, and advice for readers. Teen readers are given thorough explanations regarding basic life skills and the necessity in learning early to practice and demonstrate responsibility, showing and earning respect, and getting what they want through appropriate measures. As a parent and teacher, I appreciate the authors’ detailed advice regarding parents’ feelings about their children. They take a close look at the way parents feel about others hurting their children and the difficulty we have in trusting others not to hurt our children. I was especially touched by the authors’ emphasis on the fact that we, as parents, do not want anyone to hurt our children and that includes the child himself. This is something I find, as a mother, very difficult to express at times. Children, especially teens, struggle with their feelings toward their parents and question whether they truly understand them or not. Whitehurst and Shears stress that a parent, whether or not he or she has sought professional parenting advice, operates based on what he or she knows from past experiences. Helping children and teens realize that we, as parents, bring our own childhood into the parenting realm allows them to see the significance of the decisions we make–bad or good. The authors are open and informative as they explain parents’ varying strategies. I realize that the focus of the book was effectively the parent and child relationship and the importance of understanding a parent’s point of view, but I would have liked a little more extensive explanation of the parent’s view of bullying. This is such a difficult aspect to drive home as a mother and a teacher. When children hear someone else explain the same information we have tried ad nauseum to explain, it is often more effective coming from another source. The authors have an excellent opportunity to further address this extremely relevant social issue. The authors recognize that teens are more likely than not to encounter feelings of dishonesty, and be hit with the desire to hide their feelings and actions from parents. Part Three, Chapter 9 deals quite frankly with these feelings and helps the young reader understand the importance of growing into a trustworthy adult. In addition, the reader receives a thorough explanation of the directness appreciated by parents. In fact, the authors dedicate a great amount of their time to the concept of trust, which I appreciated greatly. 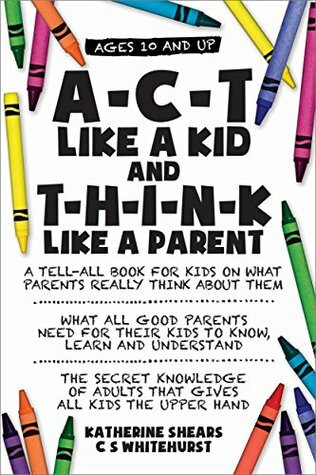 I am giving A-C-T Like a Kid and T-H-I-N-K Like a Parent is a wonderfully persuasive piece which is bound to hit home with teen readers. The authors have been careful not to write above the teen reader’s head, and they effectively touch on a variety of issues within one handy self-help manual.